Each country's jury, made up of member's of the country's OGAE branch, gave 1–8, 10, and 12 points to their ten favourite songs. 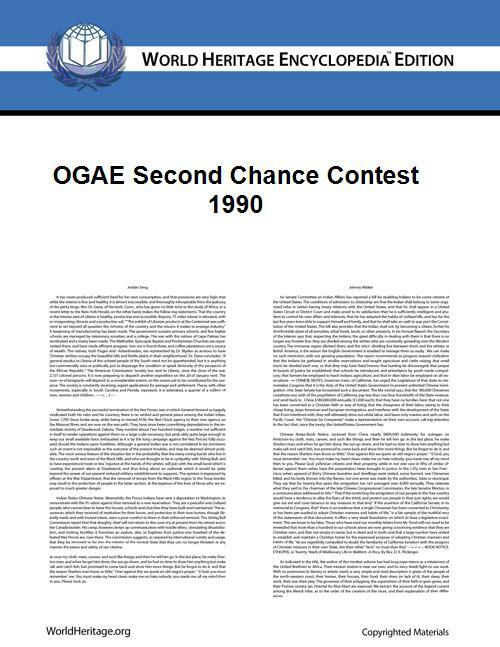 The 1990 OGAE Second Chance Contest was the 4th OGAE Second Chance Contest, organised between members of international Eurovision Song Contest fan club OGAE to select the best song not to make it to the Eurovision Song Contest through their national finals. 14 songs competed in the contest, held in Östersund in Sweden for the third year in a row, despite Denmark winning the previous contest with "Landet Camelot" by Lecia Jønsson. Austria, Cyprus, Italy and Portugal entered the contest for the first time, with OGAE Italy entering the winning song of the Italian San Remo Festival. Ireland and the Netherlands returned after their absences the previous year, while Israel was the only country to withdraw due to an internal selection being made for Eurovision. The contest was won once again by Sweden, represented by Carola with "Mitt i ett äventyr". Carola would go on to win the Eurovision Song Contest 1991 with "Fångad av en stormvind". Linda Martin, representing Ireland, would also go on to win at Eurovision, winning with "Why Me?" in 1992. The winner of the first edition in 1987 for Sweden, Arja Saijonmaa, returned to the contest representing her native country Finland. Östersund is an urban area (city) in Jämtland in the middle of Sweden. It is the seat of Östersund Municipality and the capital of Jämtland County. Östersund is located at the shores of Sweden's fifth largest lake, Storsjön, opposite the island Frösön, and is the only city in Jämtland. Östersund is the region's cultural and economical centre and by tradition a city of trade and commerce. The city was the only Swedish city founded and chartered in the 18th century. Östersund was founded in order to create a trade monopoly over Jämtland whose inhabitants' lucrative trade annoyed the Swedish crown. The intention was to persuade the local farmers to deliver merchandise to middlemen in Östersund, but the population opposed this economic philosophy, and Östersund long remained small. It took until the end of the 19th century for Östersund to truly become a city, after the arrival of the railroad and the economic liberalization of that time. Östersund is situated in inland Scandinavia and connected to Sundsvall in the east at the Swedish coast, and Trondheim in the west at the shores of the Norwegian sea. Östersund is located in the middle of Scandinavia, in the middle of Sweden, in the middle of Jämtland County and in the middle of Östersund Municipality. As the most centrally located city in Sweden, the city credits itself as the centre of Sweden. ^ "Östersund - Quality of life included" (PDF). Östersund Municipality. Archived from the original on 2008-04-09. Retrieved 2008-02-29.